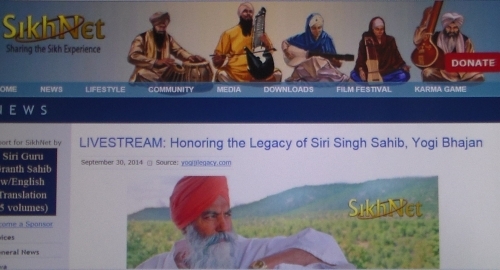 SikhNet's salutes to Yogi Bhajan & his fradulent kundalini yoga are made-up of lies! SikhNet is publishing a series of salutes to Yogi Bhajan & kundalini yoga in the run-up to the 10th anniversary of the old Mahan Milker's death. These tributes have included edited versions of Bhajan’s rambling word salad lectures. The topics consist of Bhajan's insights about women and youth and, of course, the usual confused mash up concerning Yogi Bhajan’s synthetic Sikhism and the dramatic role undertaken by Bhajan in Sikh history. Sprinkled into the mix have been nostalgic pieces by the usual 3HO suspects (literal and figurative). Following each glowing tribute or cleaned up psychobabble rambling has been a barrage of anti-Bhajan comments from traditional Sikhs. Every one of the posts disappears as soon as the censors who run SikhNet read them.